A suburb of Marseilles, the town which gave its name to the French National anthem. Through the forest many people are on the move. This is the battalion of the Marseilla is who are marching to Paris. A cannon, which they have taken with them, indicates their intentions. Among the men of Marseilles is Philippe. It is by the cannon that Philippe makes the acquaintance of the peasant girl Jeanne. He kisses her on parting. Jeanne’s brother, Jerome, longs to join the Marseillaise. Standing in the distance is the castle e Marquis Costa de Beauregard, the local seigneur. Hunters are returning to the castle, among whom are the Marquis and his daughter, Adeline. The noble Marquis makes advances to the pretty peasant girl, Jeanne. The latter tries to free herself from his pawing, but only manages to do so with the help of Jerome, who comes to his sister’s defense. Jerome is beaten up by hunters from the Marquis’s suite, and thrown into a prison cellar. Adeline, who has observed the scene, frees Jerome, and in their hearts a mutual feeling for each other is born. The sinister, old woman Jarcasse, who has been employed by the Marquis to keep an eye on his daughter, informs her adored master of the escape. The Marquis slaps his daughter and orders her to get into a carriage, accompanied by Jarcasse. They travel to Paris. Jerome bids farewell to his parents, since it is not safe for him to remain on the Marquis’s estate. He and Jeanne leave with a detachment of the Marseillaise. Their parents are inconsolable. Volunteers are enrolling in the detachment. Along with the crowd, the men of Marseilles dance a farandole. They put on red caps in place of their old headwear. Jerome is given a gun by the leader of the insurgents, Gilbert. Jerome and Philippe harness themselves to the cannon. The detachment marches on to Paris to the strains of the Marseillaise. 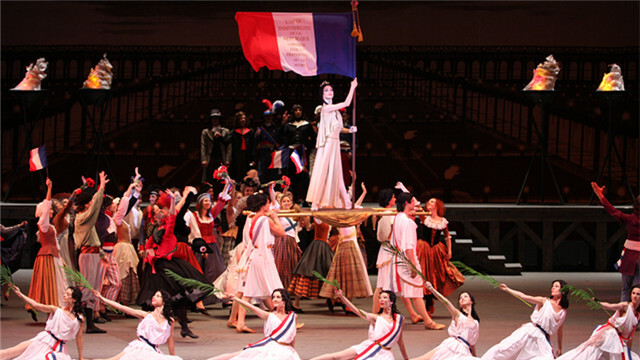 The sound of the Marseillaise gives way to an elegant minuet. The royal palace. The Marquis and Adeline have arrived. The Master of Ceremonies announces the start of the ball. 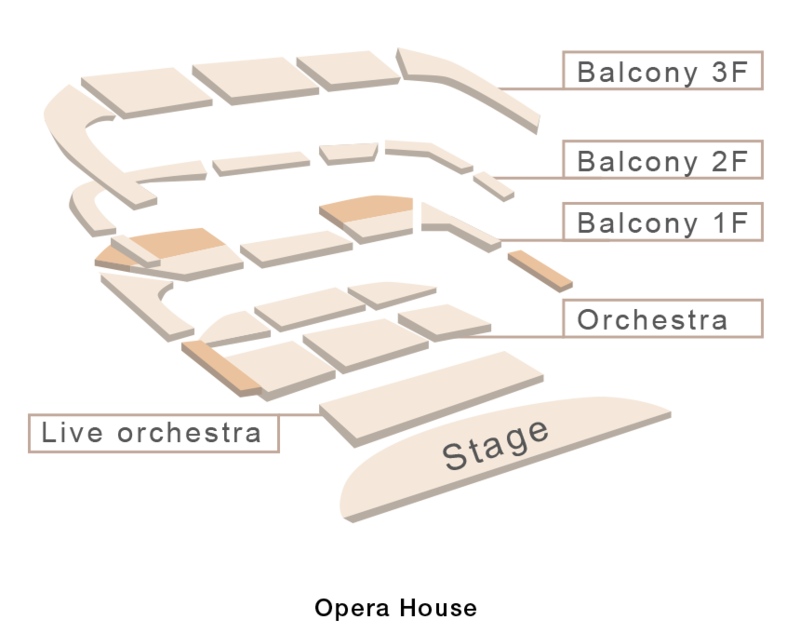 Rinaldo and Armida, a court ballet, with the Paris stars Mireille de Poitiers and Antoine Mistral: Sarabande – Armida and her friends. Armida’s forces return from a campaign. Prisoners are led in. Among them is Prince Rinaldo. Amour aims an arrow at the hearts of Armida and Rinaldo. Variation – Amour. 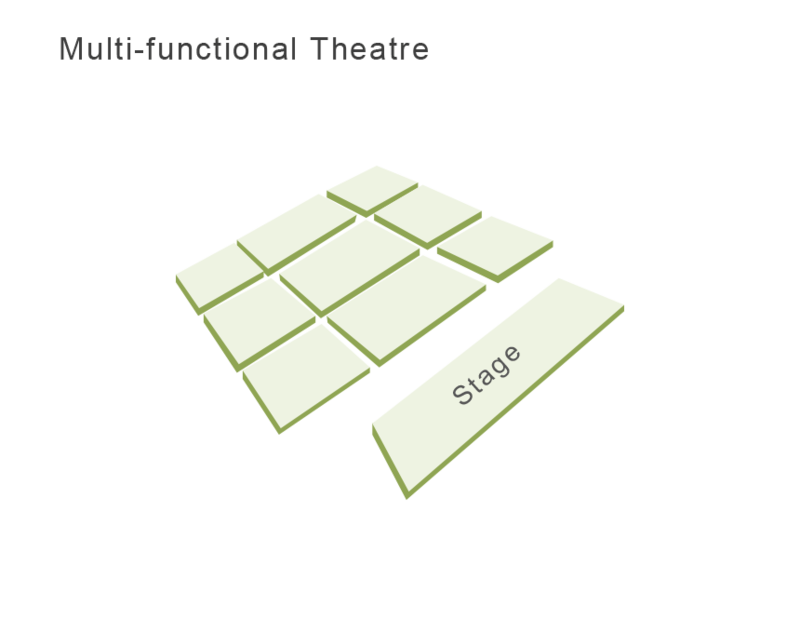 Armida frees Rinaldo.Pas de deux Rinaldo and Armida. The phantom of Rinaldo’s bride appears. Rinaldo abandons Armida and sails off in a boat chasing after the phantom. Armida conjures up a storm. Waves cast Rinaldo onto the seashore, he is surrounded by furies. Dance – Furies. Rinaldo falls dead at Armida’s feet. 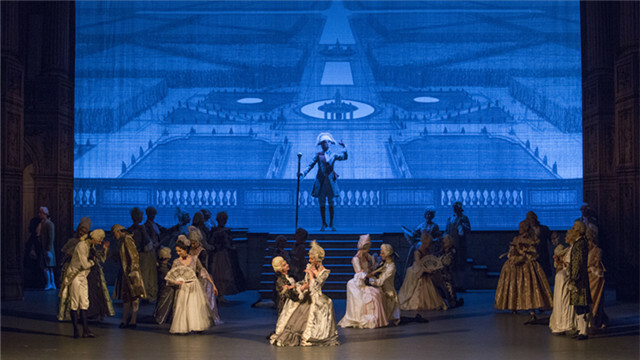 King Louis XVI and Marie Antoinette make their entrance. Greetings, oaths of loyalty and toasts to prosperity of the monarchy follow. The tipsy Marquis chooses the Actress as his next victim, and starts to court her in the same manner as he had with Jeanne. Strains of the Marseillaise can be heard from the street. The courtiers and officers panic. Taking advantage, Adeline escapes from the palace. A square in Paris, into which the men of Marseilles march, among whom are Philippe, Jerome and Jeanne. A shot from their cannon is to give the signal for the start of the assault on the Tuileries. Suddenly in the square, Jerome catches sight of Adeline. He rushes over to her. The sinister, old woman Jarcasse spies on their meeting. Meanwhile, in honor of the arrival of the detachment of men from Marseilles, a barrel of wine is rolled out into the square. 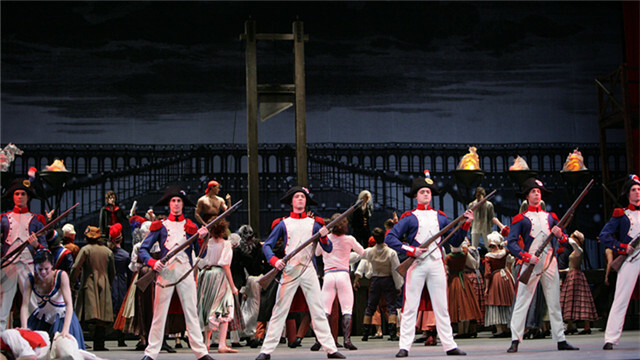 Dances get underway: the Auvergne dance gives way to the Marseillaise dance, then the temperamental dance of the Basques starts up, in which all the chief characters take part: Jeanne, Philippe, Adeline, Jerome and Gilbert, the captain of the Marseillais. In the crowd, flushed with wine, petty brawls break out here and there. Stuffed dolls of Louis and Marie Antoinette are torn to pieces. Jeanne with a spear in her hands dances the carmagnole to the singing of the crowd. Philippe, who is drunk, lights the fuse, there is a volley of cannon fire, after which the crowd dashes off to storm the Tuileries. Against a background of shots getting fired and the beating of drums, Adeline and Jerome declare their love for each other. They are oblivious to what is going on around them. The Marseilla is break into the palace. They are led by Jeanne, waving a flag. Fighting. The palace is taken. The crowd fills the square, which is decorated with lanterns. Members of the Convention and new government mount the tribune. The crowd rejoices. Famous artists - Mireille de Poitiers and Antoine Mistral - who before had entertained the king and his courtiers, now perform the Freedom dance for the people. The new dance is little different to the old, but the actress holds the Republican flag in her hands. Artist David is sketching the celebration. By the cannon, from which the first volley had been struck, the President of the Convention unites the hands of Jeanne and Philippe. These are the first young newly weds of the new Republic. The sound of Jeanne and Philippe’s betrothal dance gives way to muffled thuds of the falling knife of the guillotine. The condemned Marquis is led in. Seeing her father, Adeline rushes over to him, but Jerome, Jeanne and Philippe beg her not to give herself away. In order to revenge the Marquis, Jarcasse betrays Adeline, revealing her true origins. Roused to fury, the crowd demands her death. Feeling despair, Jerome tries to rescue Adeline, but to no avail. She is guillotined. Frightened for their lives, Jeanne and Philippe restrain the struggling Jerome. The celebration continues on. To the strains of Çaira, the triumphant populace moves downstage towards the audience. Ekaterina graduated from the Moscow State Academy of Choreography and joined the Bolshoi Ballet in 2003. Her repertoire includes principal roles in Giselle, La Sylphide, Swan Lake, La Bayadère, The Sleeping Beauty, Don Quixote, Raymonda, Le Corsaire, Coppélia, in Yuri Grigorovich’s A Legend of Love, Nutcracker, Spartacus (Aegina), The Golden Age (both Rita and Lyuska), Alexei Ratmansky’s The Flames of Paris, The Bright Stream, Lost Illusions (both Coralie and Florine), Romeo and Juliet both by Grigorovich and Ratmansky, The Taming of the Shrew by Jean-Christophe Maillot, John Cranko’s Onegin, Pierre Lacotte’s Marco Spada, Vladimir Vasiliev’s Anyuta, George Balanchine’s Diamonds and Rubies / Jewels, Alberto Alonso’s Carmen Suite, Harald Lander’s Etudes, and Jerome Robbins’ The Cage. In 2005, she won the 2nd Prize in the Moscow International Ballet Competition. In 2013, she was awarded the title of People’s Artist of the Republic of North Ossetia-Alania. In 2015, she won “The Golden Mask” National Theatre Award in the “The Best Ballet Female Part” category and the Positano Léonide Massine Prize as the Dancer of the Year on the International Stage. In 2016, she was awarded the twined “Benois-Massine Moscow-Positano” Prize. 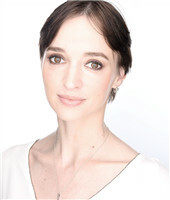 Anna graduated with distinction from the Moscow Academy of Choreography and joined the Bolshoi Ballet in 2003. In 2004, at the age of 19, she danced Odette-Odile for the first time. Her repertoire includes principal roles in La Sylphide, Giselle, Swan Lake, La Bayadère, The Sleeping Beauty (both Princess Aurora and Lilac Fairy), Raymonda, Le Corsaire, Don Quixote (both Kitri and Queen of Dryads), Esmeralda (Fleur de Lis), in Yuri Grigorovich’s Nutcracker, Romeo and Juliet, Ivan the Terrible, Spartacus (Phrygia), The Legend of Love (Shireen), and The Golden Age (both Rita and Lyuska), Alexei Ratmansky’s The Flames of Paris (Adeline), The Bright Stream (Zina), Russian Seasons (Couple in Claret Red and Couple in Green), Alberto Alonso’s Carmen Suite, George Balanchine’s Diamonds/ Jewels and Apollon Musagète (Polyhymnia), Harald Lander’s Etudes, William Forsythe’s Herman Schmerman (Quintet), and Roland Petit’s Passacaille. She tours intensively in Russia and abroad. In 2004, she was a recipient of the “Triumph” youth grant prize. 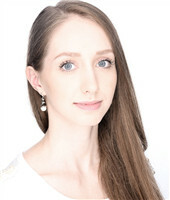 Yulia graduated from the Vaganova Ballet Academy in 2009 and joined the Mariinsky Ballet, where she danced Odette-Odile in Swan Lake, Myrtha in Giselle, Gamzatti in La Bayadère, Lilac Fairy in The Sleeping Beauty, Queen of Dryads and Street Dancer in Don Quixote, the title role in The Firebird, Helena in Balanchine’s A Midsummer Night’s Dream, Aegina in Leonid Yakobson’s Spartacus, the title role in Frederick Ashton’s Sylvia, parts in ballets by Preljocaj, Forsythe, and McGregor. She moved to the Stanislavsky Ballet in 2014, and in 2015 was invited to join the Bolshoi Ballet as Soloist. Her repertoire includes Odette-Odile, Raymonda, Nikia in La Bayadère, Medora in Le Corsaire, Myrtha, Lilac Fairy, Mekhmene Banu in Yuri Grigorovich’s A Legend of Love, Leading Couple in George Balanchine’s Diamonds / Jewels, Carmen in Alberto Alonso’s Carmen Suite, Bela in A Hero of Our Time by Yuri Possokhov and Kirill Serebrennikov, leading roles in ballets by Harald Lander, Jiří Kylián, Hans van Manen, and Alexei Ratmansky. In 2014 she received the Taglioni Award nominated as “The Best Young Ballerina”. 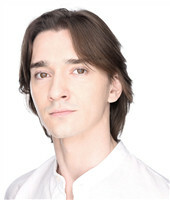 Vladislav joined the Bolshoi Ballet following his graduation in 2006 from the Moscow Choreographic Academy. His repertoire includes principal parts in La Sylphide, Giselle, Swan Lake, La Bayadère, Don Quixote, Raymonda, Esmeralda, Le Corsaire, in Yuri Grigorovich’s Nutcracker, Ivan the Terrible, A Legend of Love, The Golden Age, Spartacus (Crassus), Romeo and Juliet (Tybalt), Alexei Ratmansky’s The Flames of Paris, The Bright Stream, Lost Illusions, Russian Seasons, Romeo and Juliet, John Cranko’s Onegin, John Neumeier’s Lady of the Camellias, The Taming of the Shrew by Jean-Christophe Maillot, A Hero of Our Time and Nureyev by Yuri Possokhov and Kirill Serebrennikov, Alberto Alonso’s Carmen Suite, George Balanchine’s Emeralds and Rubies / Jewels, Apollon Musagète, and Serenade, in ballets by Jiří Kylián, Paul Lightfoot, Sol León, and Wayne McGregor. He danced with the Estonian National Ballet, Mariinsky Ballet, Mikhailovsky Ballet, and Chelyabinsk Ballet. In 2015, he performed the title part in Onegin with the Stuttgart Ballet. In 2017, he danced Frondoso in Laurencia by Vakhtang Chabukiani in Nina Ananiashvili’s version with Paliashvili Tbilisi Ballet. 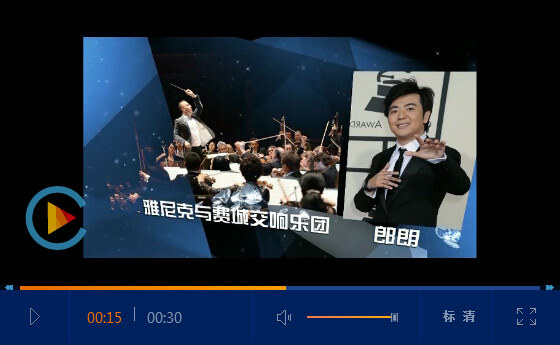 In 2015, he received the “Golden Mask” National Theatre Award. 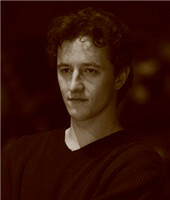 Following his graduation from the Moscow Choreographic Academy, Ruslan joined the Bolshoi Ballet in 1998. His repertoire includes principal roles in Giselle, La Sylphide, Swan Lake, La Bayadère, The Sleeping Beauty, Raymonda, Le Corsaire, La Esmeralda, Coppélia, Pierre Lacotte’s The Pharaoh’s Daughter, Yuri Grigorovich’s Romeo and Juliet and The Nutcracker, Classical Dancer in Alexei Ratmansky’s The Bright Stream, Antoine Mistral and Costa de Beauregard in his The Flames of Paris, the title role in John Cranko’s Onegin, Des Grieux in John Neumeier’s Lady of the Camellias, Pechorin in A Hero of Our Time by Yuri Possokhov and Kirill Serebrennikov, and Leading Couples in Balanchine’s Diamonds / Jewels and Symphony in C. In 2000, Ruslan won the 3rd Prize at the International Ballet Competition in Moscow. He was awarded the “Soul of Dance” Prize by the Ballet magazine (2011) and the title of Merited Artist of Russian Federation (2014). 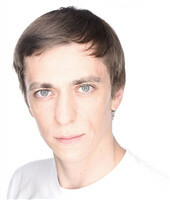 Denis graduated from the Moscow Choreographic Academy in 2002. He joined the Corps de Ballet of the Bolshoi Ballet, but was soon cast in leading roles. In 2003, he opened the theatre’s season as Romeo in Romeo and Juliet by Radu Poklitaru and Declan Donnellan, and in 2015, he created the title role in their Hamlet. His repertoire includes Petruchio in The Taming of the Shrew by Jean-Christophe Maillot, Birbanto in Le Corsaire, Abderakhman in Raymonda, Gringoire in La Esmeralda, Vizierin Yuri Grigorovich’s A Legend of Love, Drosselmeyer in his Nutcracker, Yashka in his The Golden Age, Jerome in The Flames of Paris and Pyotr in The Bright Stream both by Alexei Ratmansky, Pepinelli in Pierre Lacotte’s Marco Spada, Grushnitskу in A Hero of Our Time and Eric in Nureyev both by Yuri Possokhov and Kirill Serebrennikov, Moor in Michel Fokine’s Petrushka, Pas de deux in Herman Schmerman by William Forsythe, and Torero in Alberto Alonso’s Carmen Suite. His awards include the “Golden Mask” National Theatre Award (2012) and the title of Merited Artist of Russian Federation (2016). 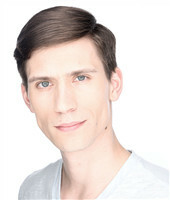 Igor joined the Bolshoi Ballet after graduating from the Moscow Choreographic Academy in 2007. 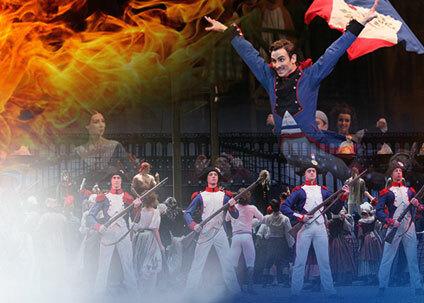 His repertoire includes principal roles in Giselle, La Bayadère, Don Quixote, Le Corsaire, Yuri Grigorovich’s Spartacus, The Legend of Love and Nutcracker, Alexei Ratmansky’s The Flames of Paris and The Bright Stream, Pierre Lacotte’s Marco Spada, The Taming of the Shrew by Jean-Christophe Maillot, Nureyev and A Hero of Our Time by Yuri Possokhov and Kirill Serebrennikov, roles of The Evil Genius and The Fool in Swan Lake, Abderakhman in Raymonda, Mercutio in both Grigorovich’s and Ratmansky’s productions of Romeo and Juliet, Count N. in John Neumeier’s Lady of the Camellias, Moor in Michel Fokine’s Petrushka, Jose in Alberto Alonso’s Carmen Suite, roles in ballets by William Forsythe, Jiří Kylián, Mats Ek, Paul Lightfoot, Sol León, and Harald Lander. Igor won the Second Prize at the Moscow Ballet Competition in 2013. In 2017, he was awarded the “Soul of Dance” Prize by the Ballet magazine. Vitaly joined the Bolshoi Ballet in 2000 after graduating from the Moscow Academy of Choreography. 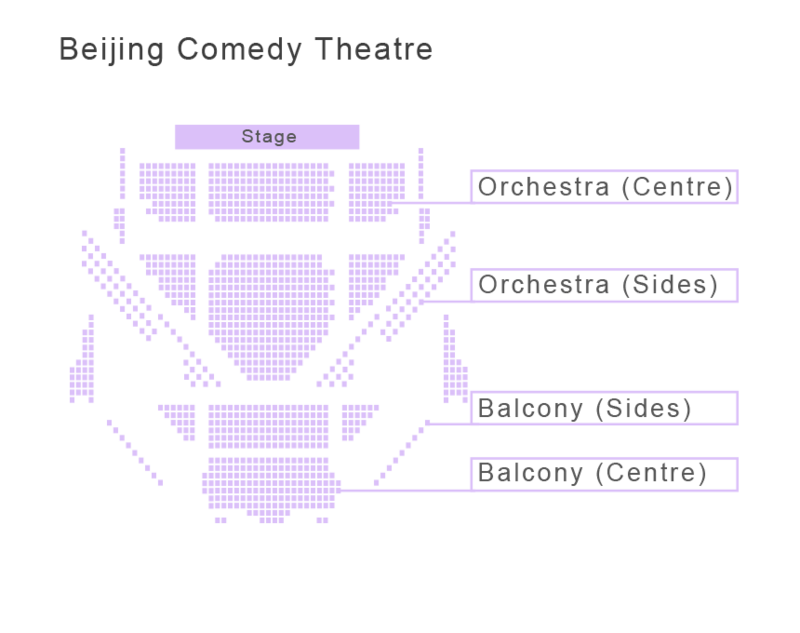 His repertoire includes Toreador in Don Quixote, Abderakhman in Raymonda, Birbanto in Le Corsaire, Clopin Trouillefou in Esmeralda, Hans in Giselle, Drosselmeyer in Yuri Grigorovich’s Nutcracker, Yashka in The Golden Age and Signor Capulet in Romeo and Juliet also by Grigorovich, Tybalt in Romeo and Juliet, Gilbert and Auvergne Dance in The Flames of Paris all by Alexei Ratmansky, Prince Gremin in John Cranko’s Onegin, Monsieur Duval in John Neumeier’s Lady of the Camellias, Artynov in Vladimir Vasiliev’s Anyuta, Moor in Michel Fokine’s Petrushka, Chekalinsky in Roland Petit’s La Dame de Pique, and Torero in Alberto Alonso’s Carmen Suite. In 2015, he danced Prince Gremin with the Stuttgart Ballet. 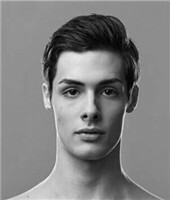 In 2014, Jacopo graduated from the Ballet School of the Teatro alla Scala Academy. During the season 2014/15 he danced with the Vienna State Ballet, in the season 2015/16 he joined La Scala Ballet Company. In 2017, he joined the Bolshoi Ballet. His first performance at the Bolshoi was in Le Spectre de la rose in the framework of the Gala in honor of Maris Liepa jubilee. His repertoire with the Company includes Prince Siegfried in Swan Lake, Nutcracker-Prince in Yuri Grigorovich’s Nutcracker, Antoine Mistral in Alexei Ratmansky’s The Flames of Paris and Paris in his Romeo and Juliet, The Leading Couple in Diamonds / Jewels by George Balanchine, and Principal Dancer in Harald Lander’s Etudes. In 2015, he was voted the rising talent (2014) by the Italian Danza & Danza magazine. In 2016, he won the Prix BALLET2000 (Cannes, ceremony and gala dedicated to Maya Plisetskaya). 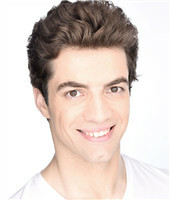 Alexander joined the Bolshoi Ballet in 2003 after graduating from the Moscow Choreographic Academy. His repertoire includes Clopin Trouillefou in Esmeralda, Peasant Dance in The Sleeping Beauty, A Slave in La Bayadère, Vizier in Yuri Grigorovich’s A Legend of Love, Russian and Indian Dolls in his Nutcracker, Tybalt in Romeo and Juliet, Gilbert in The Flames of Paris, Couple in Green in Russian Seasons, all by Alexei Ratmansky, Prince Gremin in John Cranko’s Onegin, Corregidor in Alberto Alonso’s Carmen Suite, Kazbich in A Hero of Our Time by Yuri Possokhov and Kirill Serebrennikov, The Second Intruder in The Cage by Jerome Robbins, the roles in Forgotten Land and Symphony of Psalms by Jiří Kylián, and Kvartira by Mats Ek. 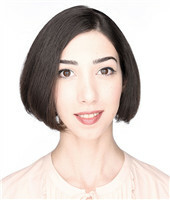 Ana began her training at the Tbilisi Ballet School before entering the Moscow Choreographic Academy. She graduated in 2007 and joined the Paliashvili Tbilisi Ballet before joining the Bolshoi Ballet in 2009. Her repertoire includes Queen of the Dryads in Don Quixote, Gulnare in Le Corsaire, Princess Florine and Silver Fairy in The Sleeping Beauty, Friends to Prince and Hungarian Bride in Swan Lake, Adeline in Alexei Ratmansky’s The Flames of Paris, Bela in A Hero of Our Time by Yuri Possokhov and Kirill Serebrennikov, Two Leading Couples and Pas de trois in Emeralds / Jewels by George Balanchine, French Doll in Yuri Grigorovich’s Nutcracker, Three Couples in Frank Bridge Variations by Hans van Manen, solo parts in Coppélia, Raymonda, and La Bayadère. 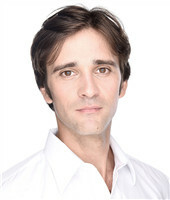 Anton graduated from the Moscow Choreographic Academy in 2003 and joined the Bolshoi Theatre. His repertoire includes Jerome in The Flames of Paris and Mercutio in Romeo and Juliet both by Alexei Ratmansky, Magedaveya and Dance with Drum in La Bayadère, Bolero in Don Quixote, Mazurka in Coppélia, Hungarian Dance in Raymonda, Peasant Dance in The Sleeping Beauty, roles in The Golden Age, Nutcracker, Romeo and Juliet, Ivan the Terrible, A Legend of Love all by Yuri Grigorovich, Alberto Alonso’s Carmen Suite, The Taming of the Shrew by Jean-Christophe Maillot, Symphony of Psalms by Jiří Kylián, Kvartira by Mats Ek, Rubies / Jewels by George Balanchine, A Hero of Our Time (Yanko) and Nureyev both by Yuri Possokhov and Kirill Serebrennikov. 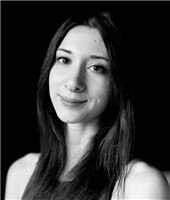 Antonina graduated from the Moscow Choreographic Academy in 2008. She danced with ballet companies of the Mikhailovsky Theatre, Saint Petersburg (2009–11) and of Teatro alla Scala, Milan (2011–16); in 2017 she was a member of Les Ballets de Monte Carlo. In 2017 she joined the Bolshoi Ballet, where her repertoire includes Queen of Dryads in Don Quixote, Friends to Prince in Swan Lake, Gold Fairy, Silver Fairy and Fairy of Audacity in The Sleeping Beauty, French Doll and She-Devil in Yuri Grigorovich’s Nutcracker, and Friends to Armida in Alexey Ratmansky’s The Flames of Paris. Margarita graduated from the Moscow Choreographic Academy in 2011 and joined the Bolshoi Ballet. Her repertoire includes the title role in La Sylphide, Kitri and Amour in Don Quixote, Marie and French Doll in Yuri Grigorovich’s Nutcracker, Jeanne and Mireille de Poitiers in Alexei Ratmansky’s The Flames of Paris, The Leading Couple in Rubies and Pas de trois in Emeralds in George Balanchine’s Jewels, Peasant Pas de deux and Pas d’action in Giselle, Friends to Prince in Swan Lake, solo parts in La Bayadère, The Sleeping Beauty, Raymonda, a role in Symphony of Psalms by Jiří Kylián. She won the 1st Prize in the “Young Ballet of the World” Competition in Sochi (2010), and was awarded a Diploma at the XII International Ballet Competition in Moscow (2013). David began to study ballet in Cabo Frio (Brazil). 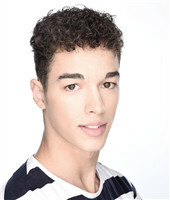 In 2010, after attending the intensive summer courses of the Moscow Choreographic Academy in Middlebury, Connecticut and New York he entered the Academy. After his graduation in 2015 he joined the Bolshoi Ballet. 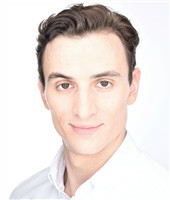 His repertoire includes Count Albrecht in Giselle, The Evil Genius in Swan Lake, Nutcracker-Prince in Yuri Grigorovich’s The Nutcracker, Leading Couples in Diamonds and Emeralds / Jewels by George Balanchine, Principal Dancer in Harald Lander’s Etudes, Pechorin in A Hero of Our Time by Yuri Possokhov and Kirill Serebrennikov, The Golden Idol in La Bayadère, Antoine Mistral in Alexei Ratmansky’s The Flames of Paris, and Torero in Alberto Alonso’s Carmen Suite. He won the 2nd Prize in the “Young Ballet of the World” Competition in Sochi (2014) and the 1st Prize in the All-Russian Young Dancers Competition “Russian Ballet” (2015). In 2002-2008, Ksenia studied at the Jakobson St. Petersburg Ballet School and in 2008 she joined the Jakobson Ballet as soloist. In 2009, she entered the 5th form of the Vaganova Ballet Academy. After her graduation in 2014, she joined the Bolshoi Ballet. Her repertoire includes Gamzatti in La Bayadère, Gulnare in Le Corsaire, Marie in Yuri Grigorovich's The Nutcracker, Ballerina in Alexei Ratmansky's The Bright Stream, Leading couples and Pas de trois in Emeralds / Jewels by George Balanchine, solo parts in La Sylphide, Giselle, Swan Lake, The Sleeping Beauty, Don Quixote, Raymonda, parts in ballets by Jiří Kylián and Hans van Manen. She won the 3rd Prize in the Moscow International Ballet Competition (2009) and Grand Prix of the Mikhailovsky Theatre (2010). In 2011-2012 she was a recipient of the Galina Ulanova Foundation fellowship. In 2013 she won the 3rd Prize in the I All-Russian Young Dancers Competition "Russian Ballet". 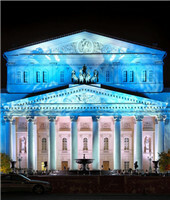 Founded in 1776, the Bolshoi Theatre of Russia has been and will remain, one of the main symbols of Russian culture. 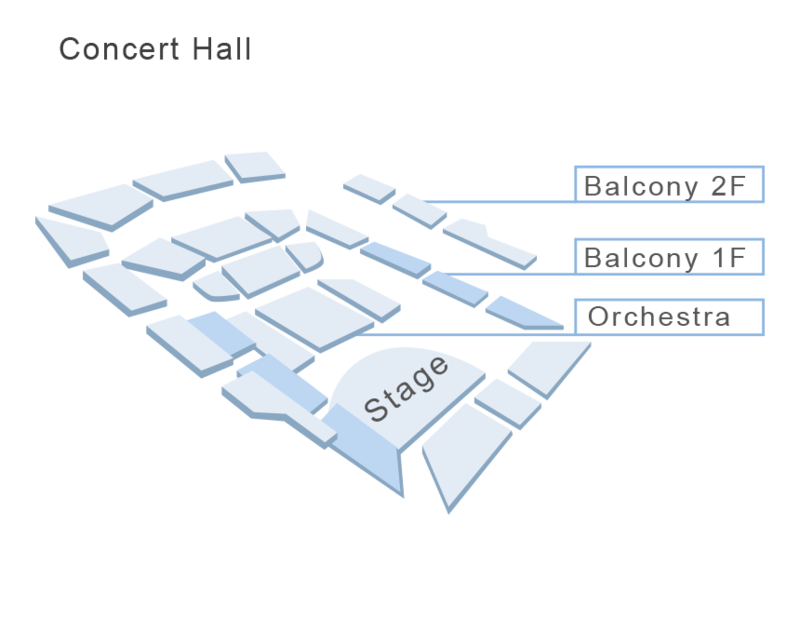 It is the main national theatre, a bearer of the traditions of Russian music culture and centre of world music culture, the spearhead of development for the country’s performing arts. 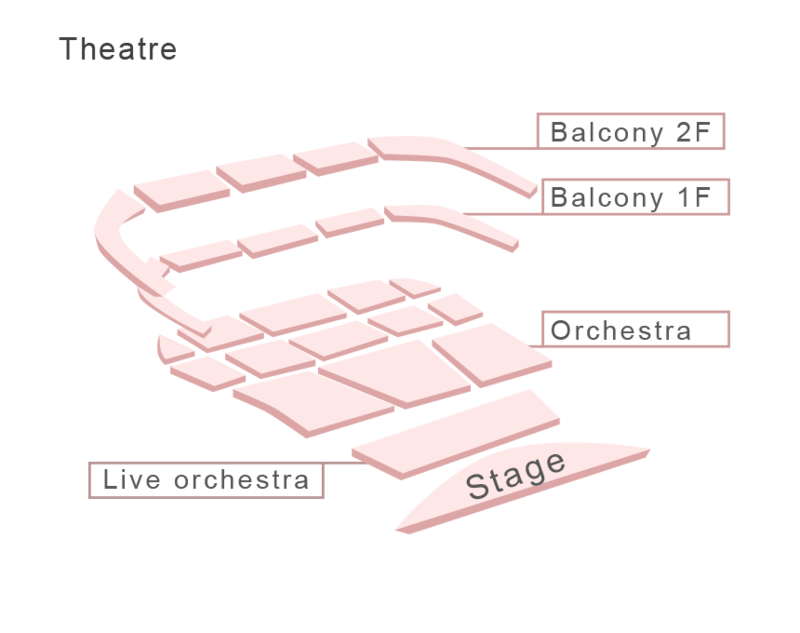 The internationally-renowned Bolshoi Ballet is among the oldest and worldwide acclaimed ballet classical companies. The first ballets to be produced were by French and Italian masters such as Filippo Beccari, Morelli brothers and Jean Lamiral. Before long, young Russian choreographers such as Adam Glushkovsky took over in prominence, concentrating on ballets with Russian themes. From 1820-1830 the company developed in the French tradition under the influence of Felicite-Virginie Hullin-Sor and Fanny Elssler who familiarized the Moscow public with works of Jules Perrot and other masterpieces of romantic ballet. Marius Petipa's Don Quixote, which received its premiere in Moscow on December 26, 1869 was acknowledged to be the visiting card of the Moscow Company, a work that was infringing all Imperial Theatres' traditions, had transferred from Moscow to Petersburg. 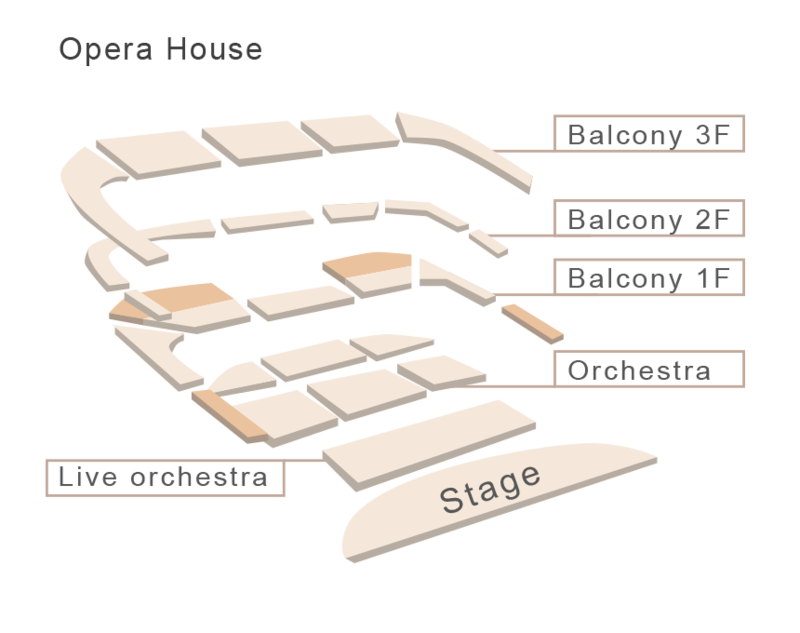 Alexander Gorsky, Petipa’s assistant and pupil, was appointed to the Bolshoi Theatre in 1900 and from then on until his death in 1924, he revised the company's stagings of the basic repertoire, making them more dramatic and realistic and laying the foundations for the company’s great future successes. Following the October Revolution in 1917, left-wing critics demanded the removal from the repertoire of classical works. However more moderate voices prevailed and, during the Soviet period, traditional nineteenth-century ballets were performed alongside contemporary works. With the transfer of the capital from Petrograd to Moscow, the Bolshoi had become the country’s first theatre, a repository of the best creative talents. 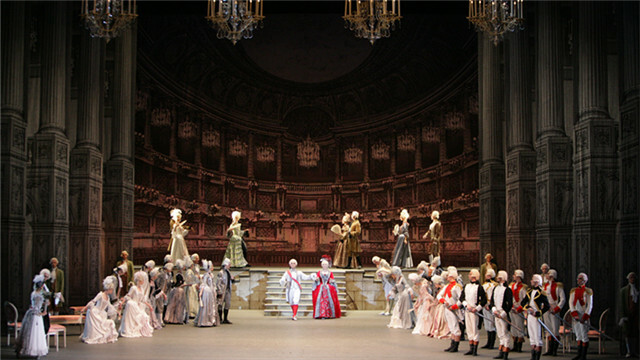 Olga Lepeshinskaya, Marina Semenova, Galina Ulanova, Maya Plisetskaya, Natalia Bessmertnova, Ekaterina Maximova, Nina Timofeyeva, Asaf Messerer, Alexei Ermolaev, Mikhail Lavrovsky, Vladimir Vasiliev, Maris Liepa were among the great principal dancersof the 20thcentury. Leonid Lavrovsky and Yuri Grigorovich had enabled “the golden age” of Soviet ballet. Today chef-d’oeuvres of classical ballet, such as Giselle, La Sylphide, Swan Lake, The Sleeping Beauty, La Bayadère, Don Quixote, Raymonda, Le Corsaire, as well as 20th century’s masterpieces of Yuri Grigorovich such as A Legend of Love, The Nutcracker, Spartacus, Ivan the Terrible, Romeo and Juliet, The Golden Age, occupy a leading place in the Bolshoi Ballet repertoire. It also presents to its public specially commissioned ballets, among which are Alexei Ratmansky’s The Bright Stream, The Bolt, Lost Illusions and Romeo and Juliet, Yuri Possokhov’s Cinderella, A Hero of Our Time and Nureyev, Christopher Wheeldon’s Misericordes, Angelin Preljocaj’s And Then One Thousand Years of Peace, Tatiana Baganova’s The Rite of Spring, The Taming of the Shrew by Jean-Christophe Maillot, and Ondine by Vyacheslav Samodurov. Another important goal is to introduce the Russian public to the achievements of the world’s great choreographers; its repertoire includes works by George Balanchine, Roland Petit, Pierre Lacotte, John Cranko, John Neumeier, JiríKylián, Mats Ek, William Forsythe, Wayne McGregor, Harald Lander, Alberto Alonso, Hans van Manen, Paul Lightfoot and Sol León. Nowadays Bolshoi dancers, Svetlana Zakharova, Ekaterina Krysanova, Anna Nikulina, Olga Smirnova, Yulia Stepanova, Kristina Kretova, Vladislav Lantratov, Denis Rodkin, Ruslan Skvortsov, Artem Ovcharenko, Semyon Chudin, and others ensure that the Bolshoi's standards remain as high as ever. Makhar Vaziev, former director of the Mariinsky Theatre and Teatro alla Scala Ballet, was appointed Ballet Director in 2016.Today’s Bolshoi Ballet employs more than 200 dancers combining a pride of place in its artistic heritage with an awareness that it must grow and develop to prosper in today's rapidly changing world.